Meet the intergalactic creatures, entertainers, technologists, and general creative masterminds at Intergalactic.media. Every artist is looking to push the boundaries of their domain. Find out the latest on their individual activities, and find out what they’re up to next. Performance Artist, Costume Designer, Makeup Artist, Hair Stylist. Carla X is a creative tour de force currently based in Austin, TX and recently out of Fort Lauderdale, FL. Her unique otherworldly vision and aesthetic magnify any party or event. Displaying a unique dance style full of energy and edge, but versatile enough for any situation, she never fails to entrance the audience. A long-time admirer of the circus arts, Carla X has also practiced in a variety of sideshow acts. Cutting her teeth on grinder acts, she has progressed to training in stilt walking, hoop dancing, and fire fans. Exciting new costumes and acts are on the horizon! Carla’s unique intersection of fashion design, theatrical makeup, and performance allows her to create a vision the client desires, as well as collaborate across trades to create a truly interstellar experience. She specializes in elaborative theatrical makeups, transforming into whatever her vision or the event requires. She seeks to create a moment in time where the audience can transcend the space they’re in and truly immerse themselves in the spectacle surrounding them. This creative outlook makes her a natural model, projecting her ethereal nature into the lens. Carla X is a chameleon of the stage, able to adapt her look for corporate event to the most alternative parties. She can deliver alien and beautiful as easily as creepy and otherworldly. A long career with many of the most professional and respected event coordinators in South Florida, she has an outstanding reputation for her professionalism, versatility, and adaptability to any situation. Carla X is a co-founder and head creative of Intergalactic.media. 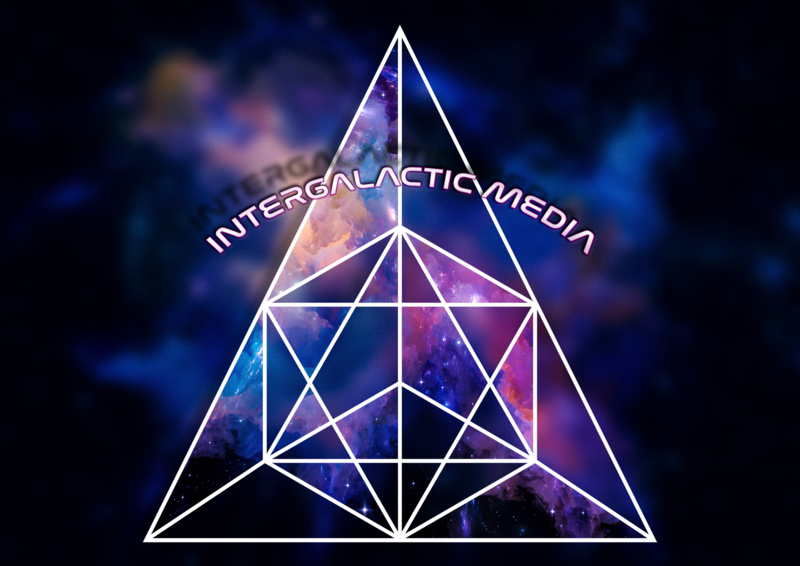 Find out more about Intergalactic Media’s mission on our About page. Derek Samford is a seasoned software and hardware veteran. With a long history of working on cutting edge technology at leading software and hardware companies as well as experience creating technology platforms from the ground up on a shoestring budget, Currently leading projects focused on Cloud Security, Derek understands the dedication and effort it takes to truly create secure platforms and products. Derek is now also directing his talents at the places art and engineering meet. He’s enhancing his skills as an artist focusing on technologies such as light mapping, interactive art objects, robotic costume parts, and light flowtoy design. Most recently, Derek worked with a municipal museum to bring a long dormant project focused on digital finger-painting for Autistic kids utilizing Microsoft Kinect and overlaid projection, allowing them to experience the joy of painting without the stimulus overload they normally would have received.